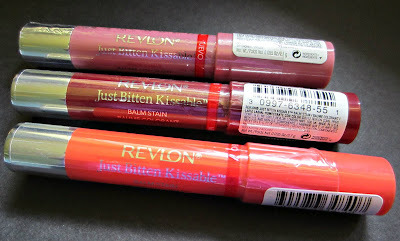 Yesterday I posted swatches here of the Revlon Just Bitten Kissable Balm Stains, and today I have a Birthday Month Giveaway for three of the shades for one lucky follower! 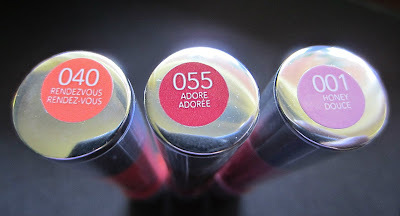 The three shades include Rendezvous, because tangerine is the color of the year and you can never have too much of this color, Honey, because this is my personal favorite, and Adore, which gives a beautiful flush of red to your lips without looking "too" red. Entry Details: Just leave your eMail below in the comments section if you'd like to enter. If you aren't comfortable leaving your eMail, check back on Monday, June 25 when I announce the winner. This is open to International readers also. Contest ends June 24 at midnight. Great giveaway. I've been looking for Honey everywhere! I loved your thorough review on these, I'm definitely entering! A giveaway for your birthday! That's awesome :)Thanks Mary! Thank you for this wonderful giveaway! All the stores in my area are sold out of these. Wow thanks Mary! I will celebrate my birthday just on 24th maybe it will bring me luck! So funny because I just stopped myself from buying one of these on my lunch break. Nice! elyssianbeauty at gmail dot com! I'd love to try these! Thanks for having a give away! Happy birthday month! I haven't seen these in Canada yet so I'd be super psyched to win them. I'm dying to try Honey! I can't wait for these to be available here :x. My e-email is lucia.iacob@ymail.com . 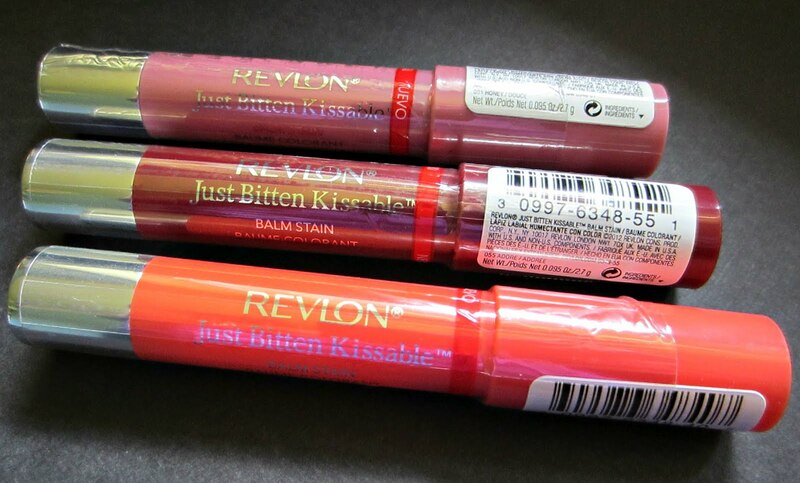 The Revlon Just Bitten Kissable Balm Stains is my favorite lip product! I'd love to try these because of your recent review. Thanks for letting us all help celebrate your birthday! And yes, I'm uncomfortable with the email leaving, due to the amount of spam I now receive, so I'll be checking back- THANK YOU for that option!!! thanks for the giveaway and what beautiful colors! I'd love to try these!! Adore looks so lovely, and honey too! I love the ones I've tried. These are on the more expensive side where I live (I've seen them anywhere from $7.99 to around $10.00), so I have yet to try these. I'm so happy to read they woek well! Thank you for hosting this giveaway. thanks, I'd love to try those! Great giveaway !!! Thanks !!! ooh i've always wanted to try!